Oregon has laws on the book that specifically target the authorization of cash advance loans. Borrowers may not have more than one outstanding payday loan at a time. After three renewals of a payday loan, the state mandates a cooling-off period of one day. Any amount as long as it does not exceed 25% of a customer’s gross monthly income. Loan terms vary - they can be anywhere from 31 to 60 days. Oregon law permits three extensions or rollovers. Finance fees cannot exceed 36% of the amount borrowed. Origination fees may not exceed $10 per every $100 borrowed. 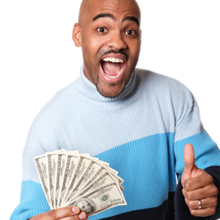 Payday lenders may also charge a one-time $25 non-sufficient funds fee and applicable bank fees.